Does a partner in crime make it easier to invade? 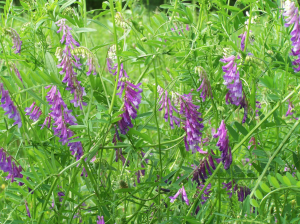 The invasive legume plant, hairy vetch, growing in the field. A mutualism is a relationship between two species in which both partners benefit. One example exists between legume plants (clovers and peas) and a type of bacteria, rhizobia. 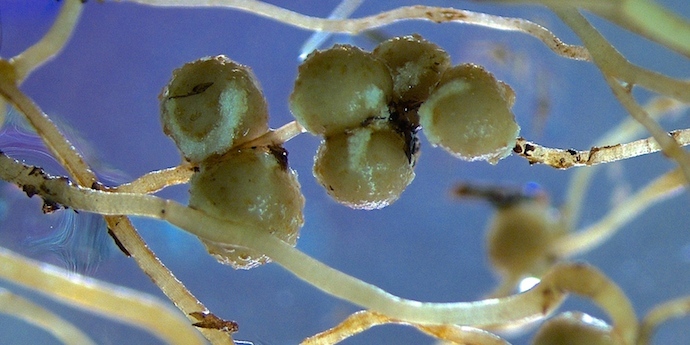 Rhizobia live inside bumps on the roots of legumes, called nodules. 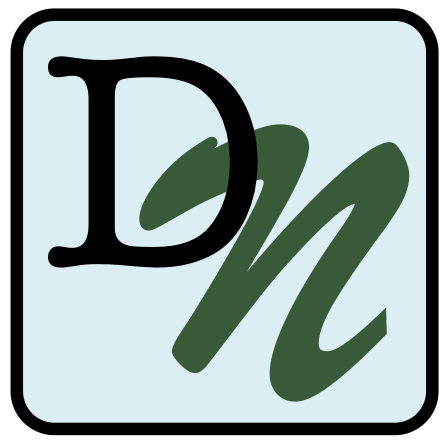 There, they convert nitrogen from the air into a form that is usable by plants; in return, plants provide the rhizobia with food and protection in the root nodule. Plants growing with rhizobia usually grow better than those growing without rhizobia. Rhizobia nodules on plant roots. In exchange for carbon and protection in the nodules from plants, rhizobia provide fixed nitrogen for plants. Mutualisms can affect what happens when a plant species is moved somewhere it hasn’t been before. Invasive plants are species that have been transported by humans from one location to another, and grow and spread quickly compared to other plants. For invasive legumes with rhizobia mutualists, there is a chance that the rhizobia will not be transported with it and the plant will have to form new relationships with rhizobia in the new location. In their introduced ranges scientists predict invasive legumes will grow better and better over time. Over generations, invasive plants and their new rhizobia partners may coevolve to become more efficient mutualism partners. Scientists at Michigan State University tested this prediction using the invasive plant species, hairy vetch. They took soil samples containing rhizobia from three different sites with different histories of hairy vetch invasion: vetch had never been there (0 years), it arrived recently (< 3 years), and it invaded a long time ago (> 10 years). 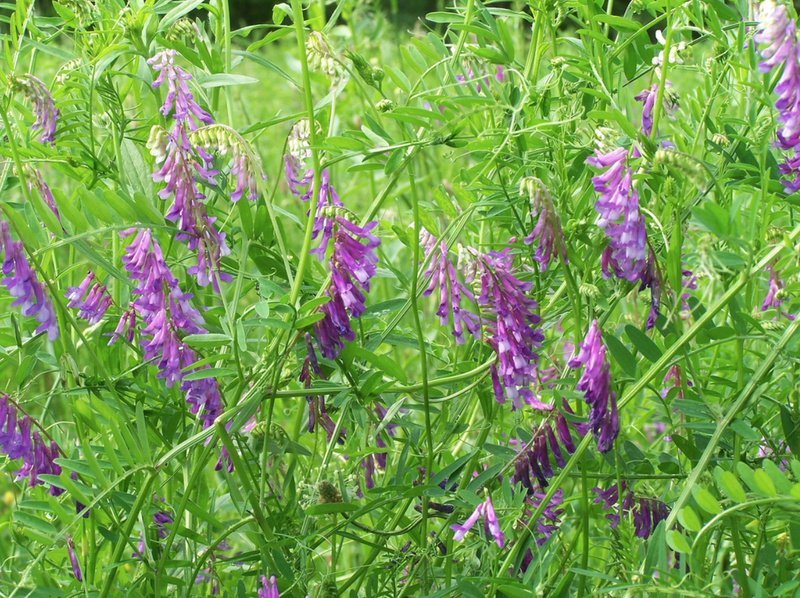 Next they grew hairy vetch plants in each of the three soil types. They then counted number of nodules on the roots (an estimate of how many rhizobia are growing with the plant) and plant biomass (how big the plants got).